European higher education systems have undergone significant transformation in the past two decades due to the new governance arrangements. Studies have indicated that the teaching-research nexus is being reshaped by the changes in institutional environment, which include increasing student numbers, financial pressures, shifts in evaluation and rewarding criteria for faculty, as well as the expectations of external sponsors of research. This changed nexus implies that teaching and research time in academics’ work portfolios increasingly compete with each other, which alters the nature of academic work and career paths at European universities. 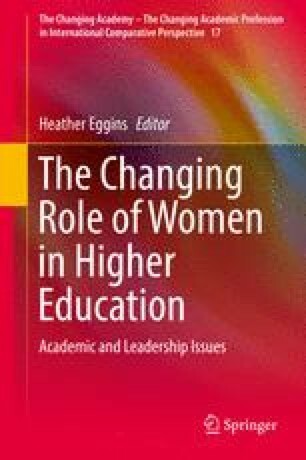 This chapter analyzes the extent to which the changing teaching-research nexus may influence gender inequalities among academics by focusing on the Dutch higher education system, and in particular, on a case study of a university in the Netherlands. Based on analyses of national and institutional reports, pertinent literature and survey data from this university, we demonstrate that the preconditions for a change in the teaching-research nexus exist in the Netherlands. Further, we find that an imbalanced allocation of teaching and research tasks is highly likely to have constraining effects on the career prospects of female academics. Leisyte, L., & Hosch-Dayican, B. (2014). Changing academic roles and shifting gender inequalities. A case analysis of the influence of the teaching-research nexus on the academic career prospects of female academics in The Netherlands. Journal of Workplace Rights, 17(3–4), 467–490. doi: 10.2190/WR.17.3-4.m.